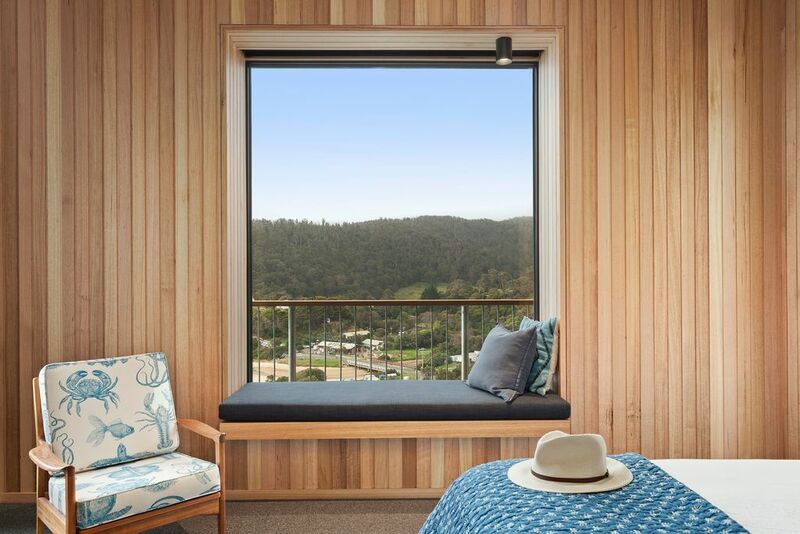 From the ashes of the Christmas day 2015 Bush fires At Wye Eyrie has been reborn and is now welcoming old and new friends to enjoy her glory. 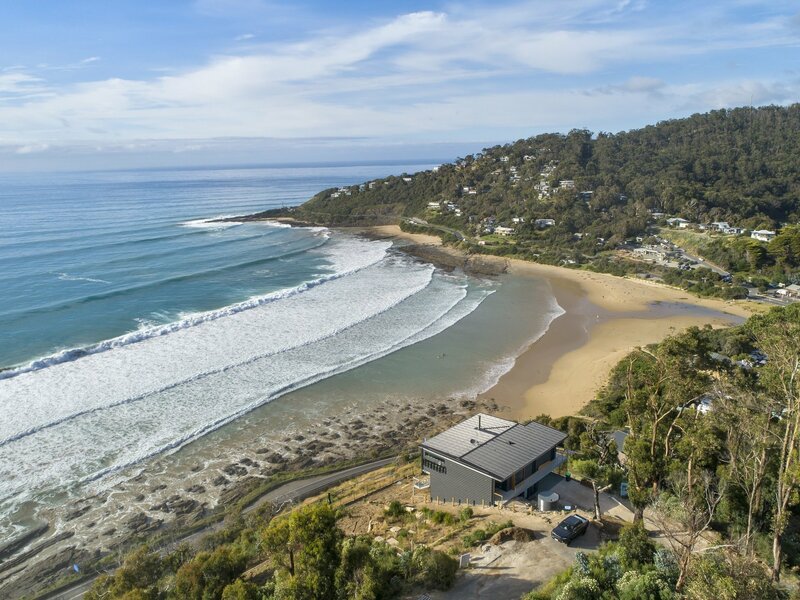 Perched with stunning views across Wye River Beach, campsite, the Pub and arguably the best ocean views in town! 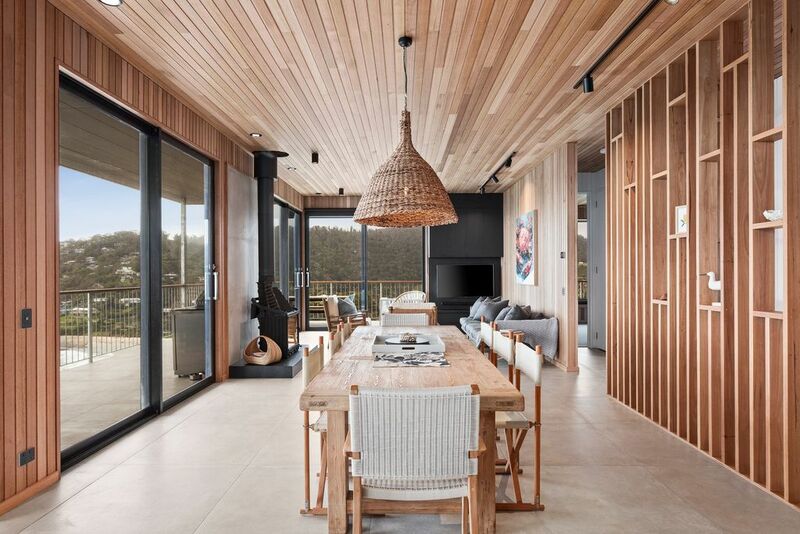 Her new design has been inspired by the owners and captures all the old At Wye Eyrie ambiance and feel but this time in stunning high-level construction and finish. 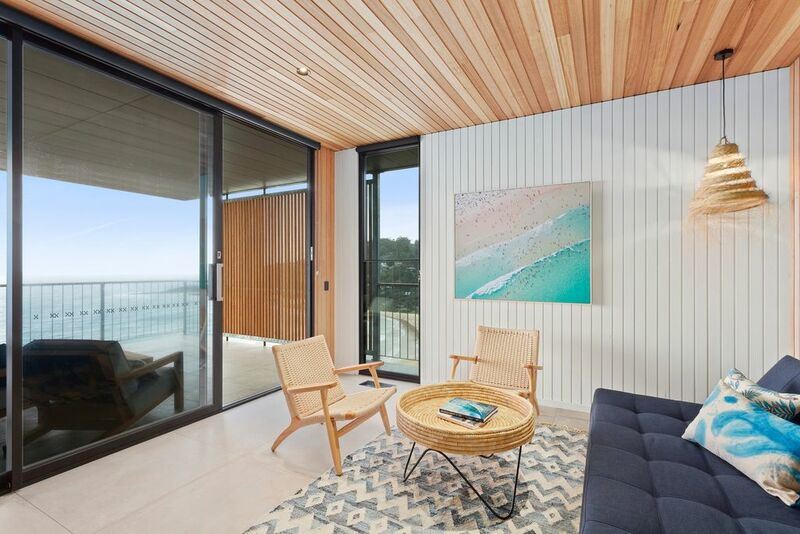 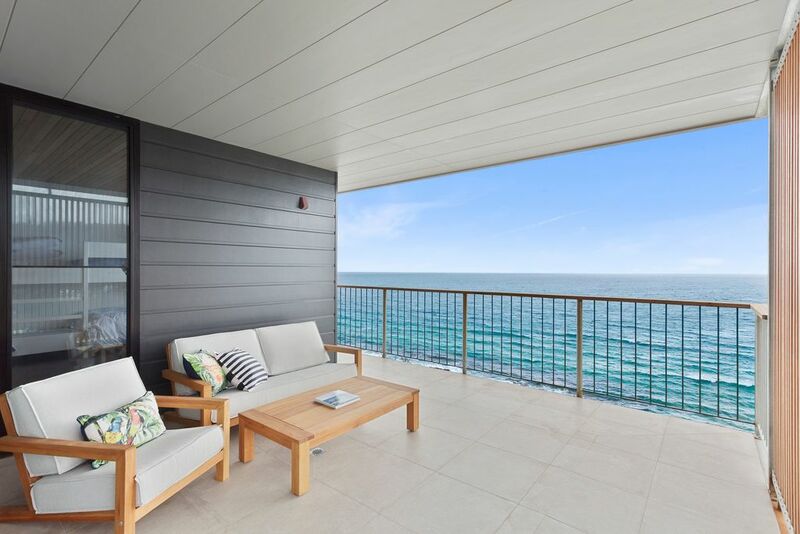 With mid-century modern design, At Wye Eyrie II provides a luxurious beach front getaway while still welcoming a family friendly experience with friends and pets. 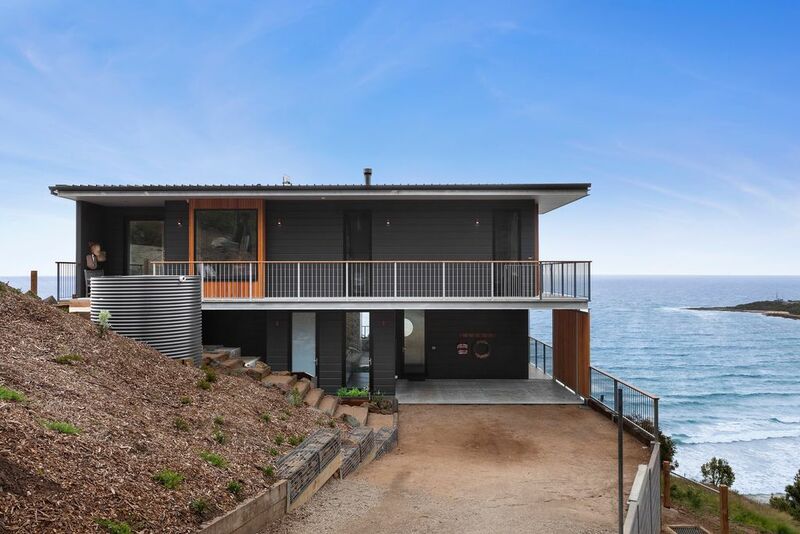 The house is located at the private cul-de-sac end of Iluka avenue with easy parking for multiple cars. 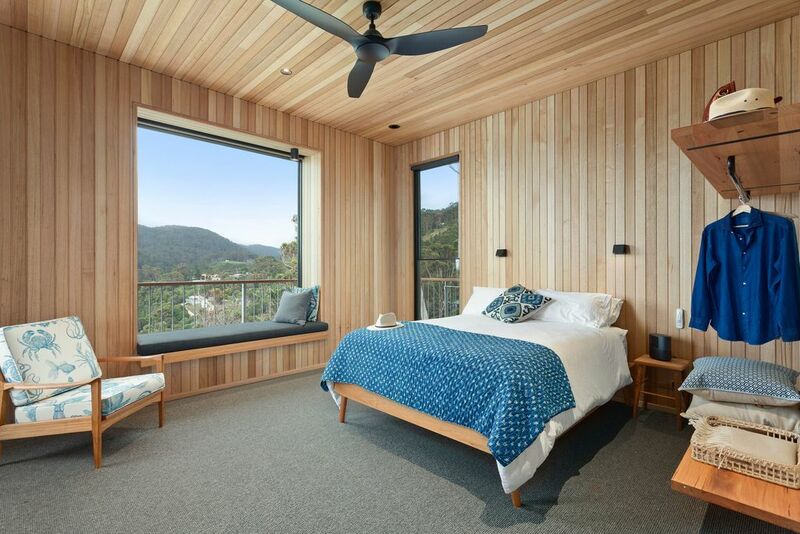 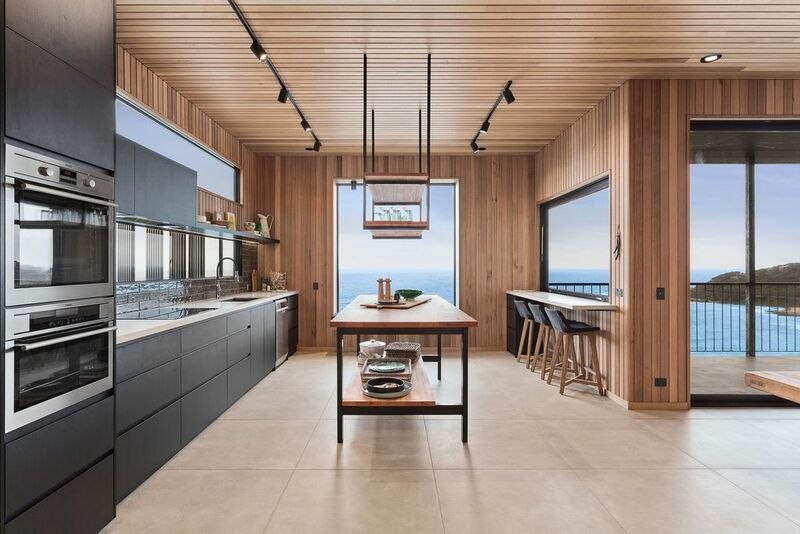 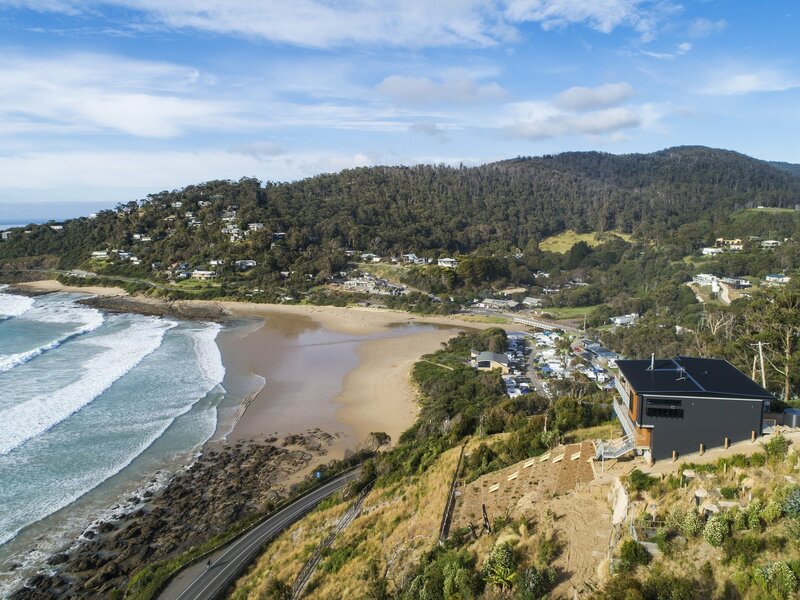 Upon entry you will be met with vast architectural landscaping and as you enter At Wye Eyrie II you will be consumed by 180-degree views of the ocean and natural bushland. 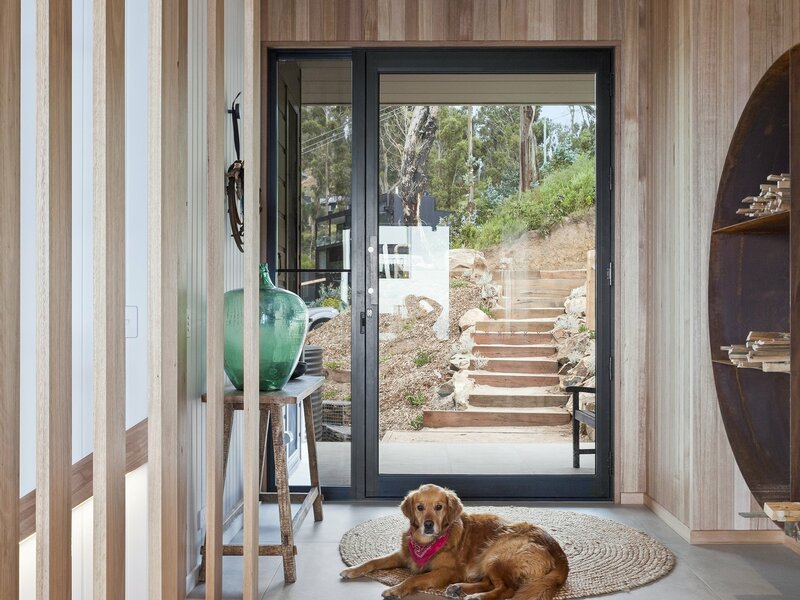 As you explore our home you will be delighted with the attention to practical detail and the comfort she offers her guests. 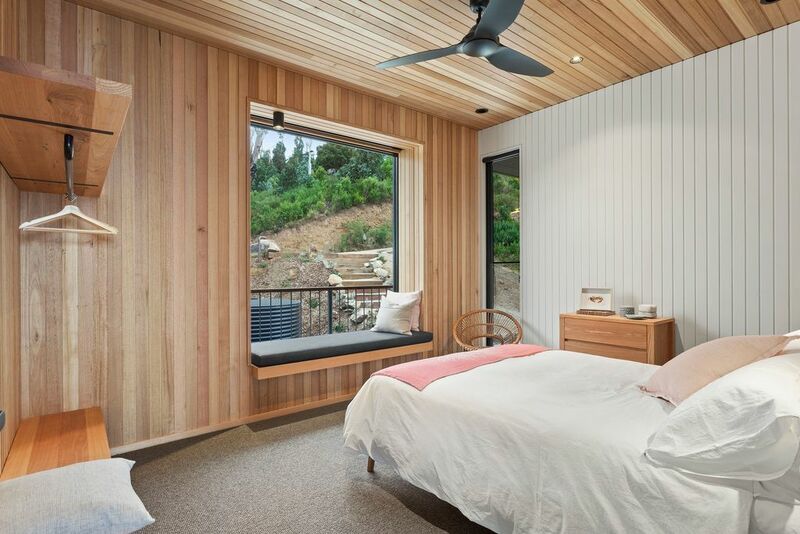 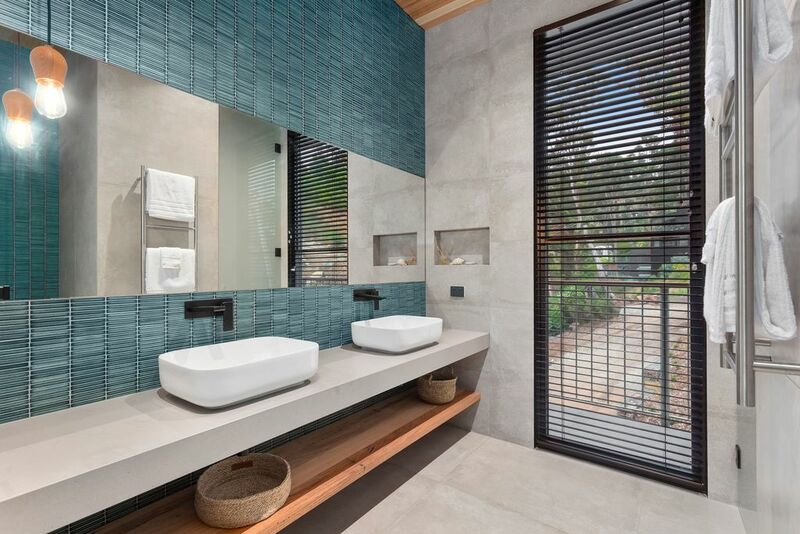 Weather its keyless entry, Bose sound systems in the bedrooms or an outdoor shower with a view, you won’t be disappointed with the new At Wye Eyrie II. 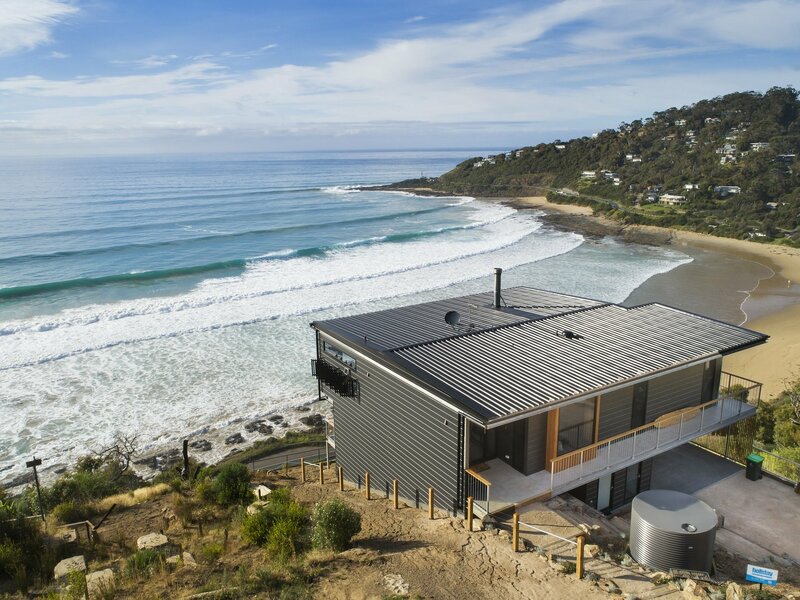 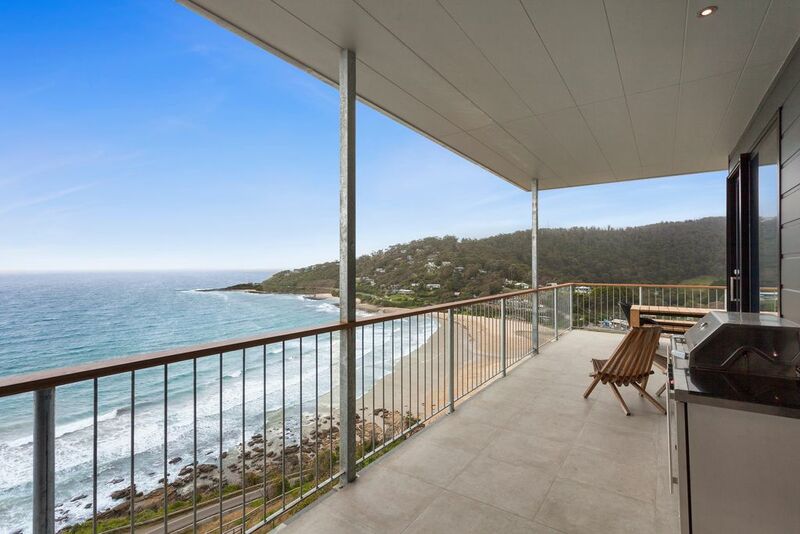 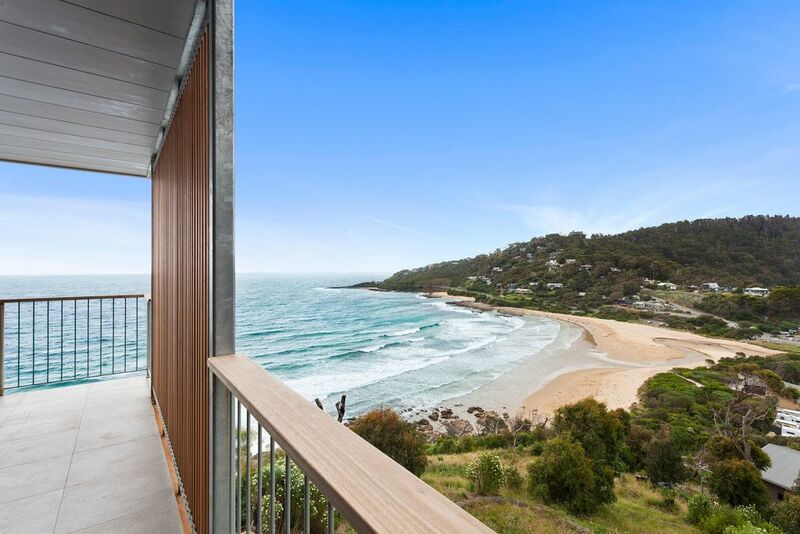 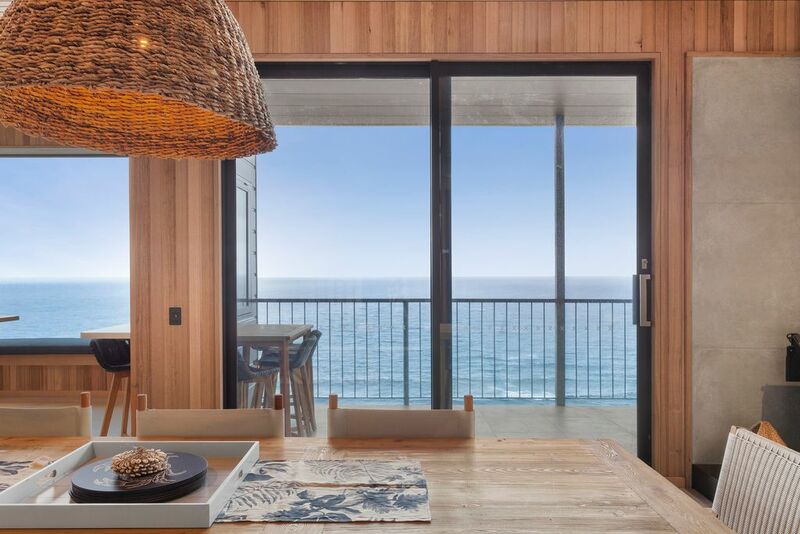 The views are so close to the beach you can call the kids in from the rock pools or surf for lunch! 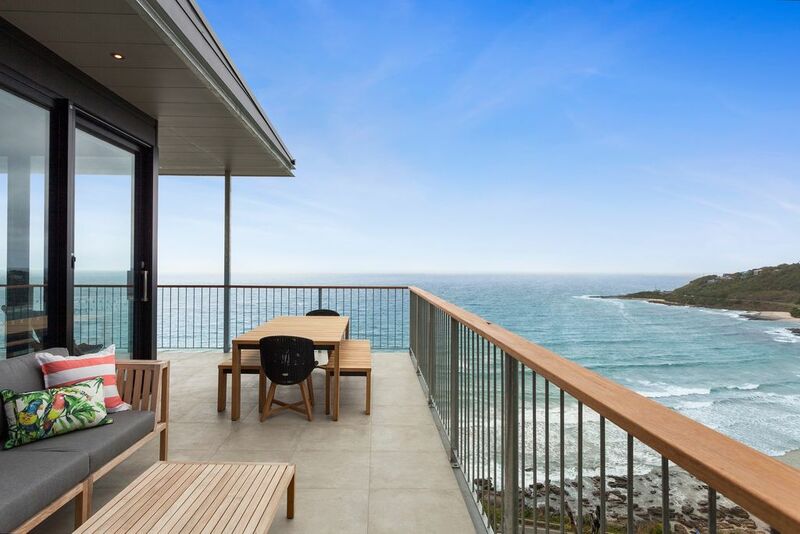 Impeccably styled throughout, the whole house has a relaxed coastal vibe mixed with contemporary design and features. 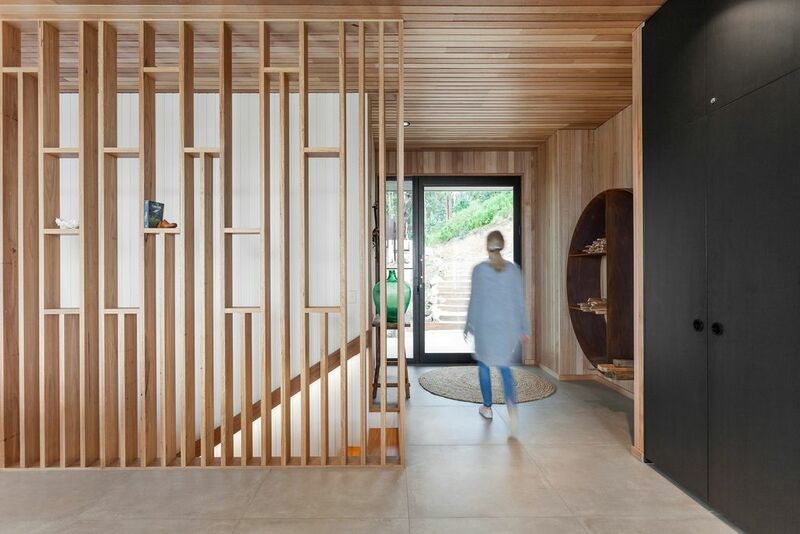 The feeling of nostalgic summer holidays as a child, perfectly combined with elements for modern living. 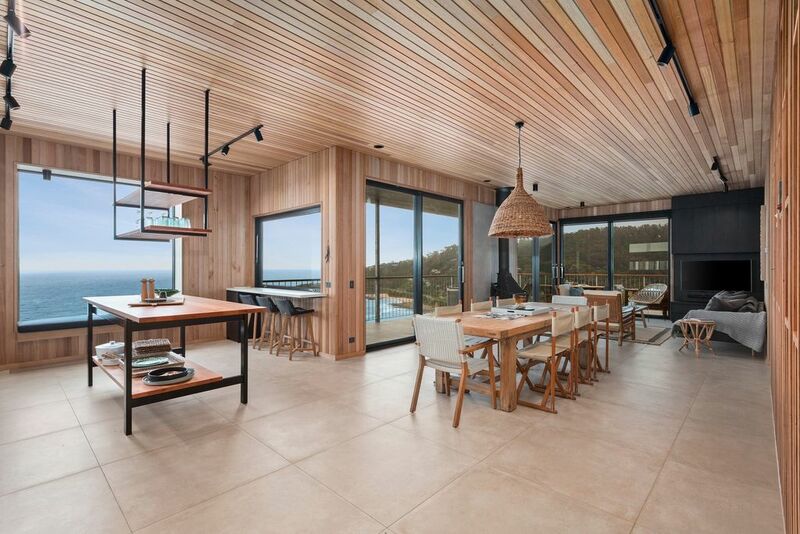 Enter the upstairs area into the open plan living, dining, and kitchen – all featuring stunning ocean views. 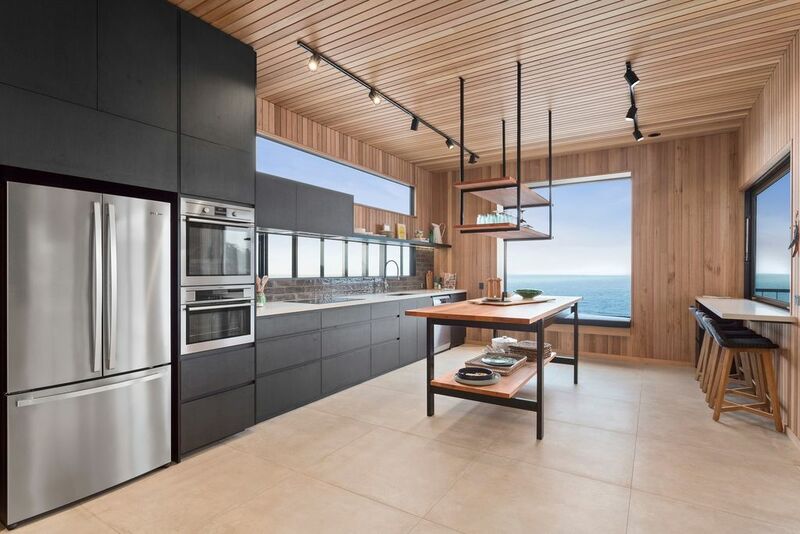 The full kitchen features central timber island bench, double electric ovens, induction cook top, dishwasher, microwave, and Nespresso coffee machine (BYO pods) . 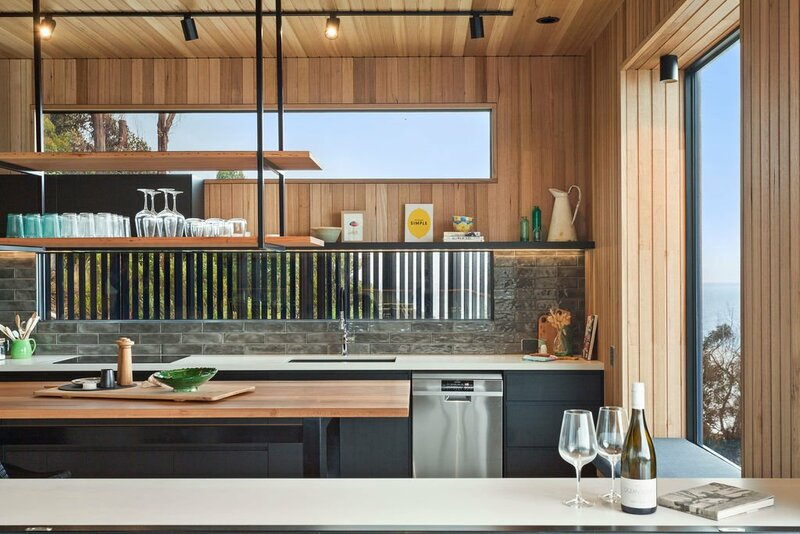 Take in the incredible view from a window seat in a kitchen nook. 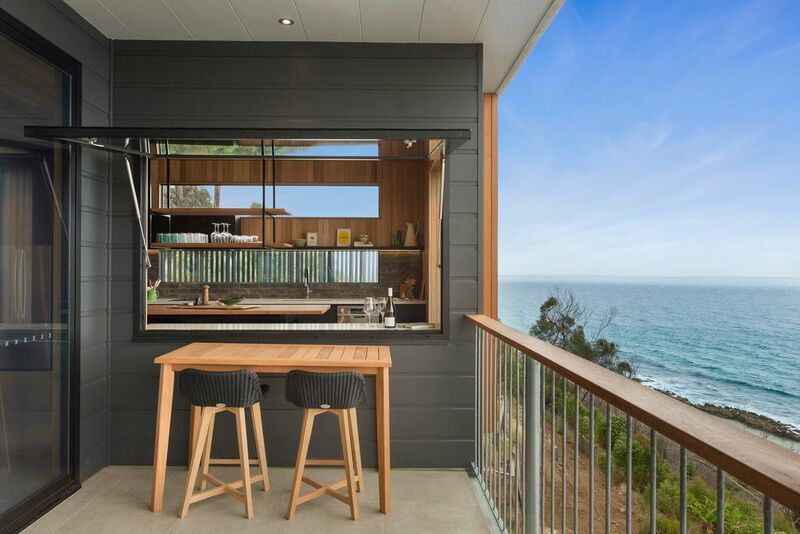 A great feature is the multipurpose bar/breakfast bench with window that opens out onto the ocean deck. 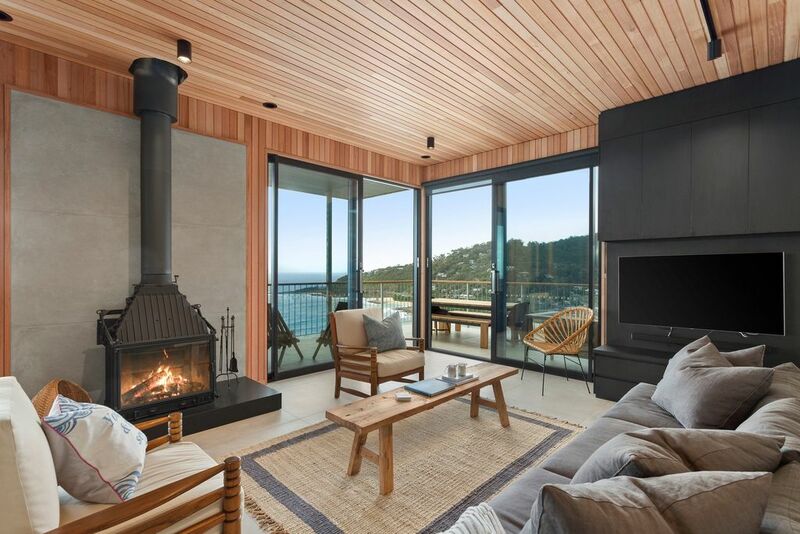 The lounge is a brilliant mix of relaxed coastal feel combined with a warmth from the timber paneling, soft furnishings and Cheminees Philippe’ dual opening door wood fire. 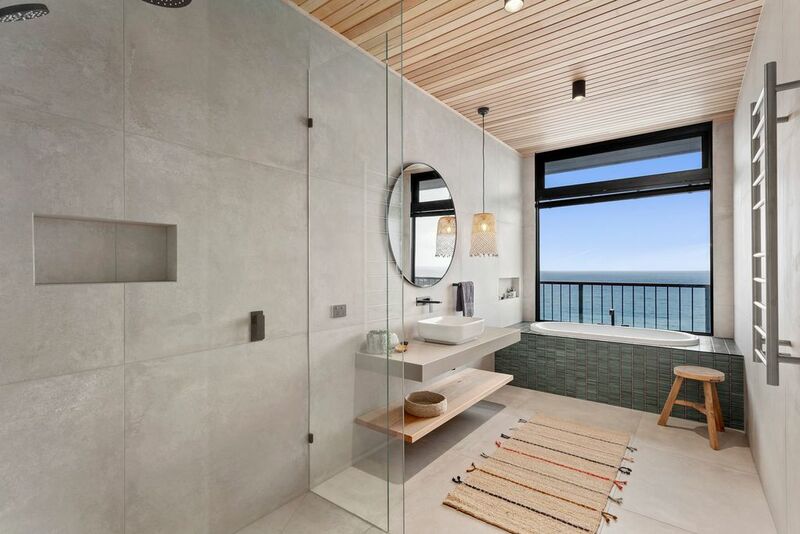 Two queen bedrooms and a bathroom with shower are also on this level. 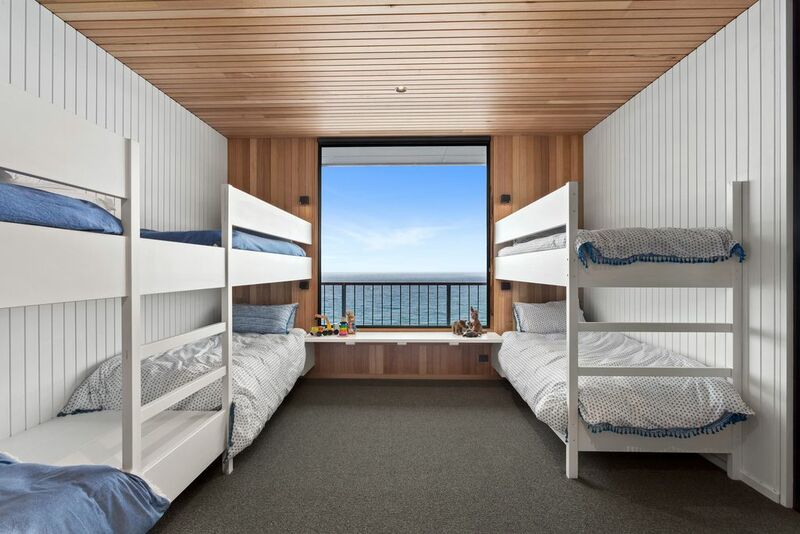 Downstairs houses the large bunk room – with six single beds and space for play overlooking the ocean, this room is a child’s dream come true. 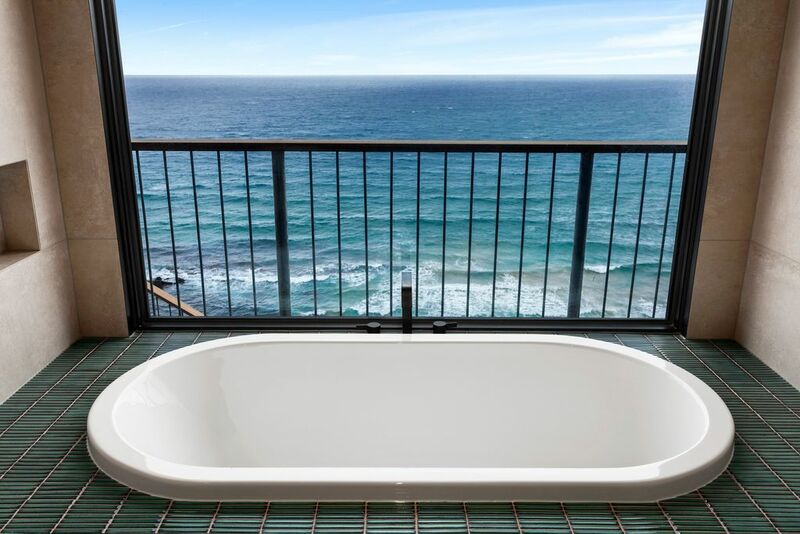 The large family bathroom is downstairs, with large shower, and featuring an outstanding view of the ocean from the bathtub. 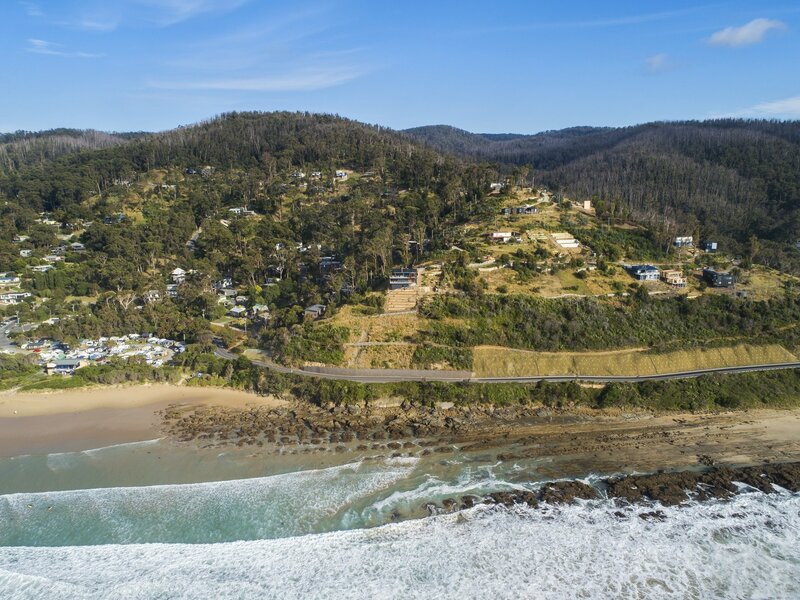 At Wye Eyrie II also offers access to Paddy’s path for an easy walk to the beach, pub and General Store. 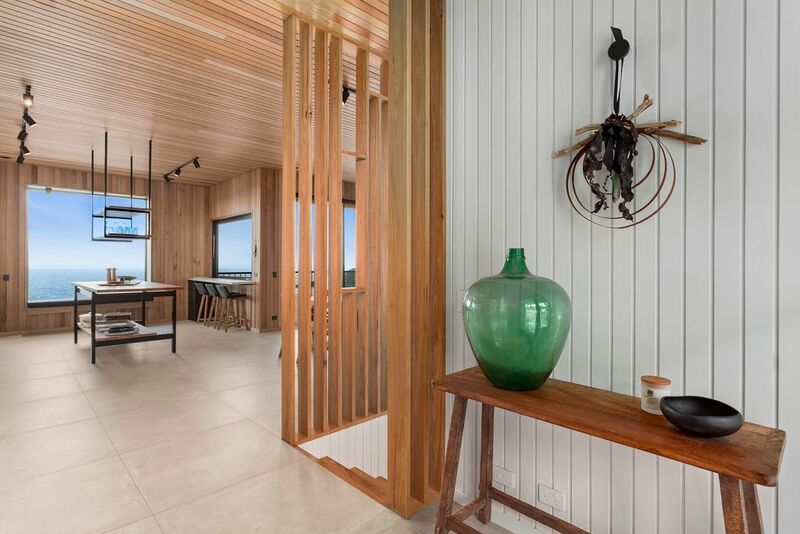 At Wye Eyrie can accommodate up to 10 guests in 3 bedrooms.